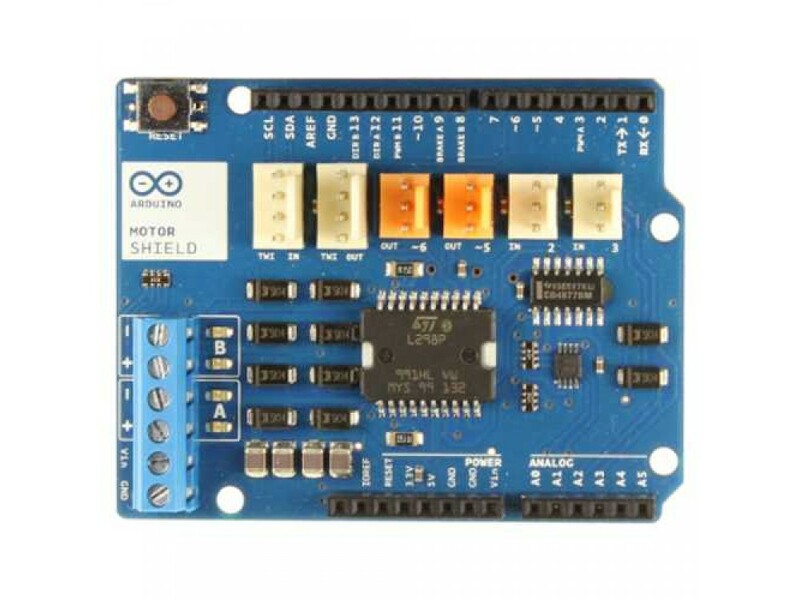 If you are looking to use Arduino Motor Shield for a robotic project such as a mobile robot, you need to know that the Arduino Shield can drive independently the speed of two DC motors. You can also measure the motor current absorption of each motor, among other features. Brushed DC motor connection is done by connecting the two wires to the + and - screw terminals for each channel A and B. You can control its direction by setting HIGH or LOW the DIR A and DIR B pins and speed by varying the PWM A and PWM B duty cycle values. If set to HIGH, the A and B Brake pins will effectively brake the DC motors rather than let them slow down by cutting the power. You can measure the current going through the DC motor by reading the SNS0 and SNS1 pins. On each channel will be a voltage proportional to the measured current, which can be read as a normal analog input, through the function analogRead() on the analog input A0 and A1. For your convenience it is calibrated to be 3.3V when the channel is delivering its maximum possible current, that is 2A. The Arduino Motor Shield must be powered only by an external power supply. External (non-USB) power can come either from an AC-to-DC adapter (wall-wart) or battery. 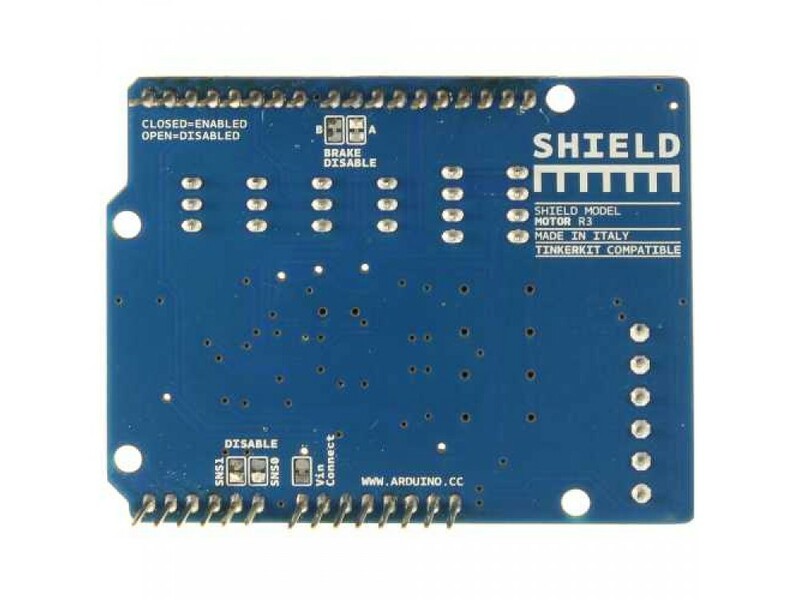 To avoid possible damage to the Arduino board on which the shield is mounted, we recommend that you use an external power supply with an output voltage between 7 and 12V. If your motor require more than 9V, it is recommended to cut the "Vin connect" jumper placed on the back side of the shield. 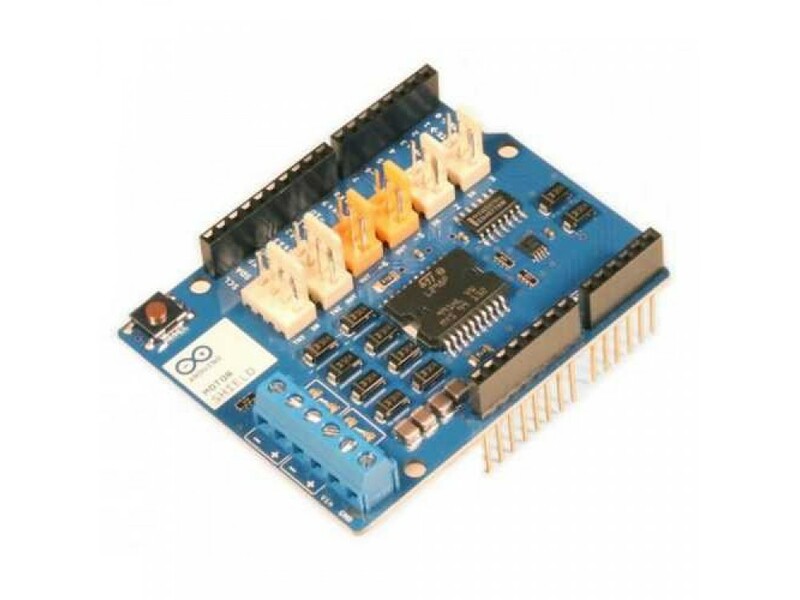 Arduino Motor Shield R3 is perfect to control the motor of your robotic project. Motor Controller and other robotic project available in our store. The DRV8835 dual motor driver is a small size breakout board that can deliver 1.2A per channel conti..